Nikhil Upreti is a Nepalese actor. His first film was Pinjada, released in 2000, in which he jumped off a seven storied building of Manipal Hospital. Nikhil Upreti (निखिल उप्रेती) is a Nepalese actor. His first film was Pinjada, released in 2000, in which he jumped off a seven storied building of Manipal Hospital. He has worked in more than 110 films, won Best Actor in National Films Award for Hami Tin Bhai. He was awarded with Rastriya Nagarik Swarna Samman in 2006. 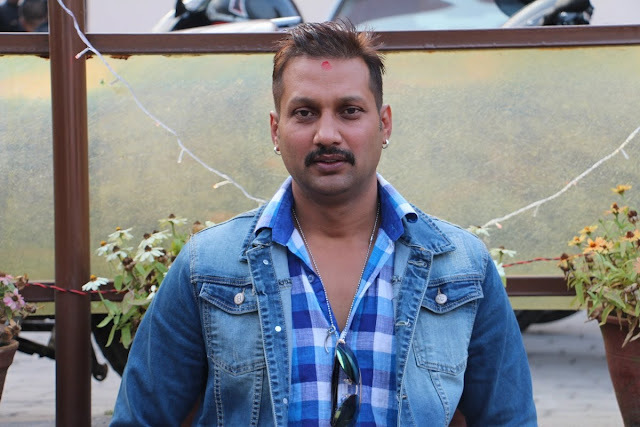 Nikhil Upreti is well known for doing his own stunts. Some of his movies are Pinjada, Nikhil Dai, Hami Tin Bhai, Dhadkan, Bhairav and Lootera. After years in Mumbai (home of Bollywood), he was scheduled to direct and act in a Hindi movie called Commitment. He made a comeback to Nepalese Film Industry with 'Bhairav' in 2015, which was a commercial hit. Nikhil Upreti was interested in sports like football (soccer) and Karate in his childhood days. When he got a black belt in Karate, he moved to Mumbai to worked in different movies as an assistant fight director and a stunt boy. Apart from working in movies he was also studying acting in which he got a Diploma in acting from Roshan Taneja’s studio, Mumbai. He likes to mention his work experience as an assistant fight director in ABCL company of Amitabh Bachhan.